If the Division of Child Protection and Permanency (DCP&P, formerly known as DYFS), receives a referral concerning a child who is allegedly being abused or neglected, the Division must immediately initiate an investigation. The assigned investigator is required to interview the child, the parents, any person who lives in the house, and any individual who may have personal knowledge about the allegations. Further, the investigator is obligated to review any prior reports of abuse or neglect as well as determine if the parents have a criminal record. The Division is also required to inspect the child’s home to determine if he or she is living in a safe environment. Additionally, during the course of a typical investigation, the Division will likely contact the child’s teachers, counselors, and doctors. The investigator will also want to speak to any of the parent’s physicians. Nevertheless, in order to gather any medical information about a child or parent, DCP&P must first obtain a release. Do I have to Sign a Release of Medical Records for DCP&P? The investigator will commonly ask the parents to sign releases so the Division can speak to doctors and review any medical records. As a general rule, it is not a wise decision to execute any releases. To start, you have no legal obligation to sign any releases or cooperate with the Division. Second, you do not have to sign an open authorization allowing DCP&P unlimited access to your confidential information. Rather, you can limit or curtail the release so the investigator can only examine certain parts of your record that you feel comfortable disclosing. Another option is simply obtaining a letter from any of your physicians or counselors outlining your treatment or prescriptions. It is also important to know that if the investigator does speak to any doctors and obtains any medical reports, the Division cannot disclose the information to anyone. DCP&P operates under very strict confidentiality laws and cannot release any information it obtains during its investigations. Should I Let NJ Child Protective Services Talk to a Doctor? 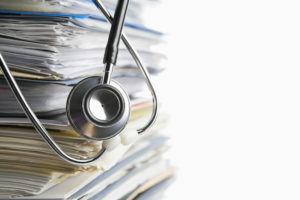 If you are being investigated by New Jersey child protective services and have been asked to provide medical information about yourself, medical records for your child, or you are wondering if the division is allowed to speak with one or more of your doctors, it is highly advisable to seek knowledgeable legal counsel before agreeing to, or signing, anything. The experienced DCP&P attorneys at our firm are thoroughly prepared to assist you with your child abuse and neglect case. We are committed to protecting our client’s rights when dealing with DCP&P in Morris County, Passaic County, Essex County, Bergen County, Middlesex County, and throughout New Jersey. Call (908)-356-6900 now or fill out our online form to request a free consultation.